Maple syrup urine disease (MSUD) is caused by an inborn error in metabolism resulting from a deficiency in the branched-chain α-keto acid dehydrogenase complex activity. This blockage leads to accumulation of the branched-chain amino acids (BCAA) leucine, isoleucine and valine, as well as their corresponding α-keto acids and α-hydroxy acids. 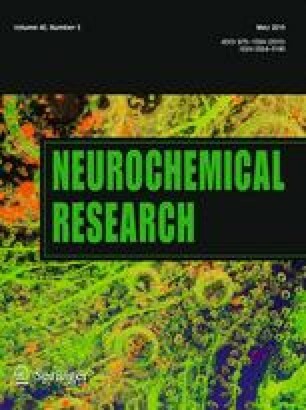 High levels of BCAAs are associated with neurological dysfunction and the role of pro- and mature brain-derived neurotrophic factor (BDNF) in the neurological dysfunction of MSUD is still unclear. Thus, in the present study we investigated the effect of an acute BCAA pool administration on BDNF levels and on the pro-BDNF cleavage-related proteins S100A10 and tissue plasminogen activator (tPA) in rat brains. Our results demonstrated that acute Hyper-BCAA (H-BCAA) exposure during the early postnatal period increases pro-BDNF and total-BDNF levels in the hippocampus and striatum. Moreover, tPA levels were significantly decreased, without modifications in the tPA transcript levels in the hippocampus and striatum. On the other hand, the S100A10 mRNA and S100A10 protein levels were not changed in the hippocampus and striatum. In the 30-day-old rats, we observed increased pro-BDNF, total-BDNF and tPA levels only in the striatum, whereas the tPA and S100A10 mRNA expression and the immunocontent of S100A10 were not altered. In conclusion, we demonstrated that acute H-BCAA administration increases the pro-BDNF/total-BDNF ratio and decreases the tPA levels in animals, suggesting that the BCAA effect may depend, at least in part, on changes in BDNF post-translational processing. This research was supported by Grants from the Programa de Pós-graduação em Ciências da Saúde—Universidade do Extremo Sul Catarinense (UNESC), Coordenação de Aperfeiçoamento de Pessoal de Nível Superior (CAPES), Núcleo de Excelência em Neurociências Aplicadas de Santa Catarina (NENASC) and Conselho Nacional de Desenvolvimento Científico e Tecnológico (CNPq).